Junior explorer, Meteoric Resources NL (ASX:MEI), this morning informed the market that it has kicked off field work on its cobalt properties in Ontario, Canada. This is the start of a comprehensive and fully funded exploration program, targeting high-grade, primary cobalt mineralisation. 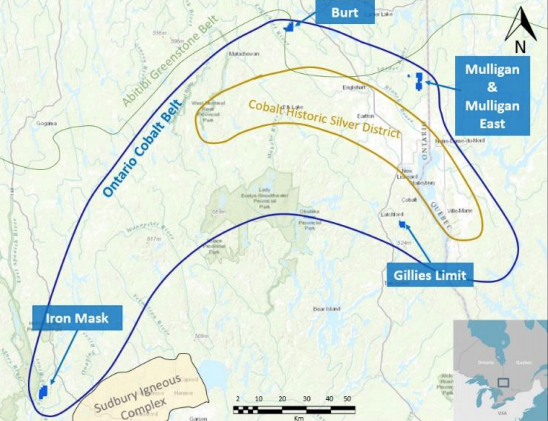 MEI has in its arsenal five highly prospective primary cobalt projects in Ontario. The company’s exploration strategy here is primarily focused on historical workings for high-grade cobalt and silver. Correspondingly, MEI has strategically acquired properties that are prospective for high-grade cobalt and silver mineralisation due to historical exploration and production activities — including the Mulligan property, which produced eight tonnes of cobalt ore grading 10 per cent cobalt. MEI’s highest priority will be running geophysics and starting to drill at these locations to confirm high-grade primary cobalt mineralisation. Line-cutting and ground geophysics crews are set to mobilise initially to the Mulligan cobalt project to conduct closely spaced induced polarisation, magnetics and resistivity surveys targeting the geological structures that control known cobalt mineralisation. MEI’s cobalt manager, Tony Cormack, is travelling to Ontario to oversee geology, geophysics and drilling. Under Cormack’s direction, the field teams will systematically work through all of MEI’s cobalt projects to conduct geophysical surveys in preparation for drilling. 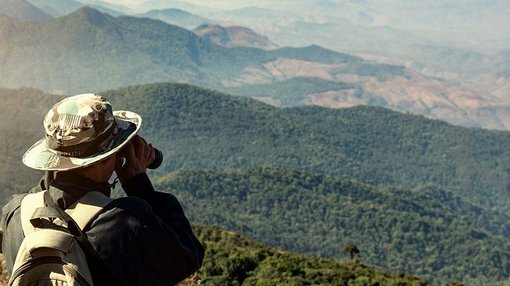 The Mulligan property will form the first target of MEI’s drilling campaign. This program is set to begin after geophysical targeting has been completed, based on the work program being undertaken in the coming weeks. It should be noted that MEI is still in its early stages and investors should seek professional financial advice if considering this stock for their portfolio. “Meteoric has compiled a quality package of highly prospective primary cobalt projects in Ontario with the great assistance from our partners at Orix Geoscience. We have also added Tony Cormack to the team; he is flying out to Canada to oversee the geophysics and drilling. I can assure you that I will very much look forward to regular updates on progress from Tony, as I am sure will all our shareholders,” Tunk added. Cormack commented: “The reason I joined Meteoric was because of their cobalt ground. Every cobalt project has been well considered by Meteoric, with all 5 projects being highly prospective for primary cobalt mineralisation. “Andrew has a strong cobalt focused strategy which I like, and he is certainly getting the right team together to deliver. It’s great that we have the entire field season fully funded, and with such great ground to work I have been eager to get across to Canada for some time. That time has now come, so I look forward to getting alongside our great partners at Orix Geoscience and Canadian Exploration Services (CXS), and get Meteoric’s exploration for high grade cobalt underway,” said Cormack.